Fijian businesses need to exploit all avenues to do trade with their Indian counterparts from India. 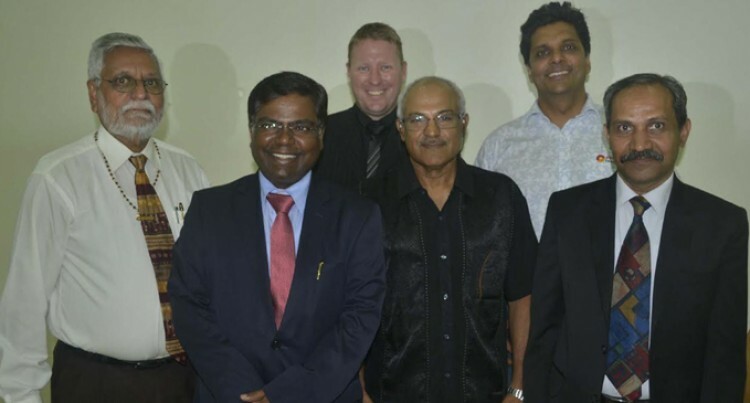 Nadi Chamber of Commerce and Industry president, Dr Ram Raju made those remarks during the High Commission of India sponsored Fiji-India Business Council Mini-Forum at the GDR Hall in Malolo, Nadi on Saturday night. Dr Raju said it was a fantastic interaction where businesses in Nadi were enlightened with the goods and services that are available for the trade. “The relation mentioned by the India’s High Commissioners, the scope of industry and the scope of growth showed there is a huge potential between Fiji and India. We need to tap on that more,” he said. Dr Raju added there is a lot of opportunity that India has to offer. He added there is a need for help in Agro industry and that is what Fiji should look into with the Indian expertise. Mr Sapkal was impressed with the forum as there were a lot of representatives from various companies present. “Bilateral trades are not up to the potential at the moment so we want to see what avenues are available potential,” he said. He said they are planning to hold a meeting in Suva soon to work on enlarging the Council. “We don’t want volumes,” he stressed. He added India is an expert on Hybrid where Fijian businesses need to tap into.